not nearly as chilling as medieval torture chambers and collections of torture implements. these prisoners are generally the worst of murderers but still get to go out pain free with a gourmet meal of their choice. 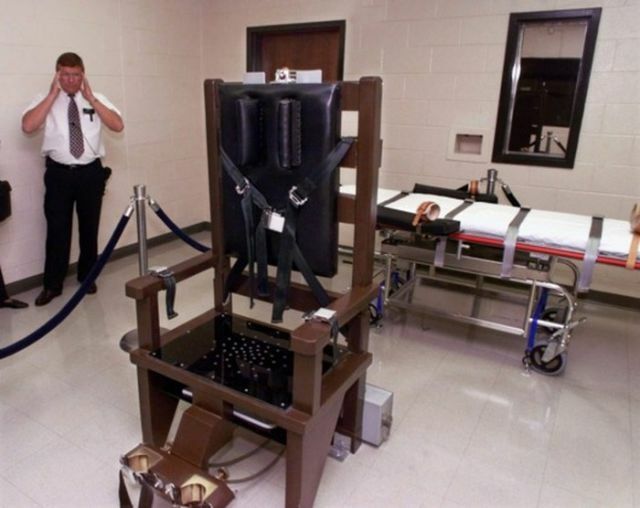 what's the point of a death penalty? saving tax-money, or the overcrowded prisons? i'm glad i live in a country where death penalty doesn't exist. Wow we've really progressed as a society huh! And the USA points their grubby little finger at other countries! I think it's funny how you libs are pro-abortion and anti death penalty. I guess it's all about timing to you, eh SkiDoo, wol131 and laughinggas?